Geek Grotto - Get Your Geek On! 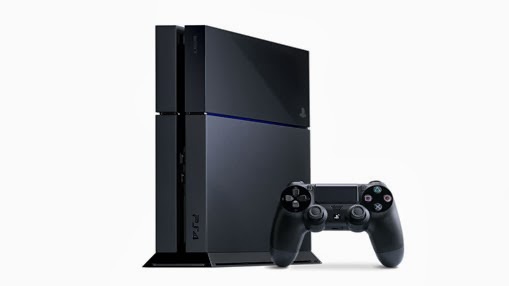 : The PlayStation 4 Is Now Available Across The Contenental US! The PlayStation 4 Is Now Available Across The Contenental US! Well, the first real shot in the next gen console wars has been heard. Sorry Nintendo, The Wii U hasn't really been a contender. While I have attended every major console release since the Sega Dreamcast many years ago, I have also lived in a major city. This tends to bring the crowds and major festivities. After moving to a small town of 40,000 outside of Las Vegas, I was curious how a console launch would be handled here. So, I drove over to Wal-Mart, the only place to buy games in town, and was surprised to see roughly 12-18 people waiting in line. Unfortunately, unlike big city releases, where people are having a blast and smack talking about how they will rule online this gen, the line locally was, depressing. Just 12-18 people standing in line....doing nothing. What bothers me more is that this town DOES have a large geek culture, but NOWHERE to express it. Want to buy the latest games? You're buying online or driving 120 miles round trip to Vegas. Anime? The Same. Manga? Yup, the same. A movie? I can go on and on.